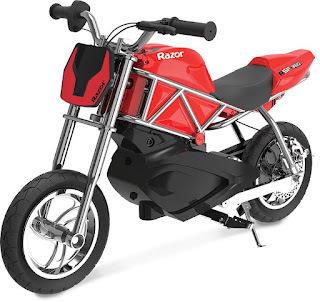 Head on over to Amazon where you can snag this Razor Electric Street Bike for just $121.28 shipped (Retail $329.99)! This electric street bike has two rechargeable batteries and can be ridden for up to 30 minutes of continual use before needing to be recharged. It can support riders up to 140 pounds and travel up to 14 mph!